With four liter engine displacement, two turbos and eight cylinders, Affalterbach presents the latest generation of the C63 AMG (W205). 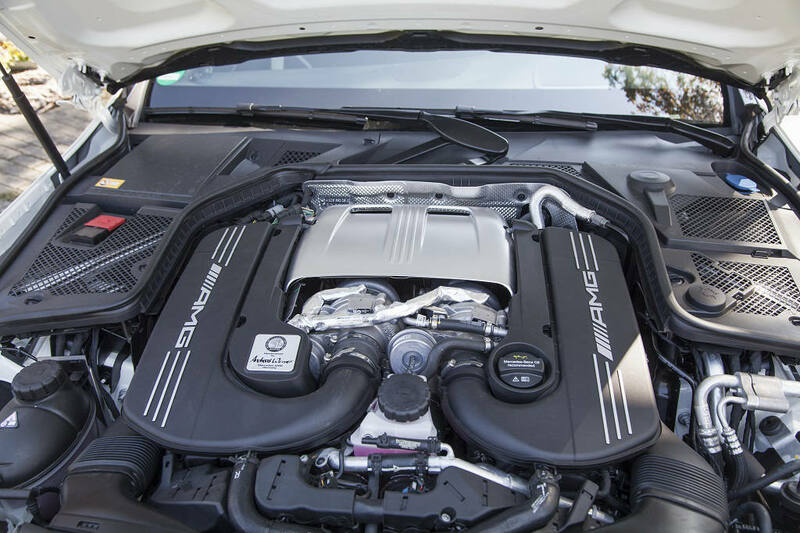 While the Mercedes-Benz C63 AMG offers 476 hp at the rear axle, the C63 S AMG mobilizes even 510 hp. 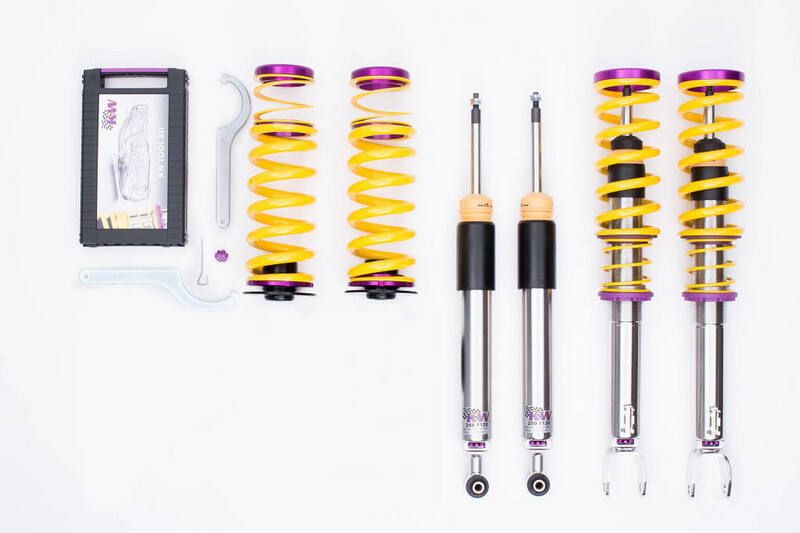 The KW coilover suspensions Variant 3 made of stainless steel gives the new C63 AMG and C63 S AMG (W205) sedan the ideal balance of everyday practicality, driving dynamics and individual setting options in comfort and sportiness. Nobody has to accept a compromise at his AMG anymore with the KW dampers that are independently adjustable in compression and rebound damping. 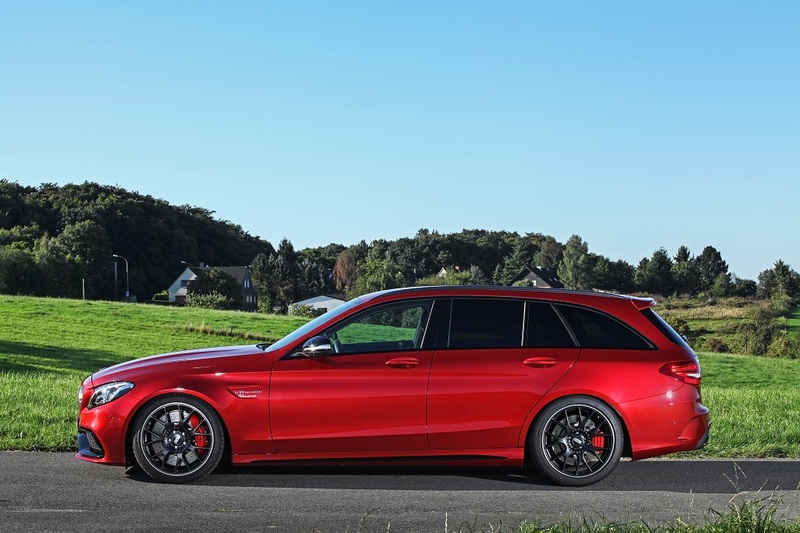 It does not matter whether the AMG is constantly driven at its limits of driving dynamics or if it is used mainly as sporty touring sedan. 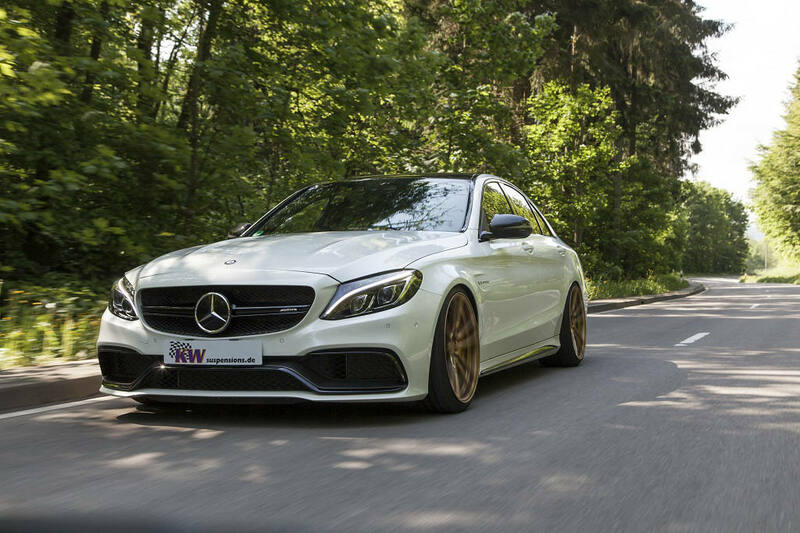 Those who drive their AMG with a KW coilover suspension Variant 3 installed, benefit from our experience with the equipment of different AMG Black Series models. 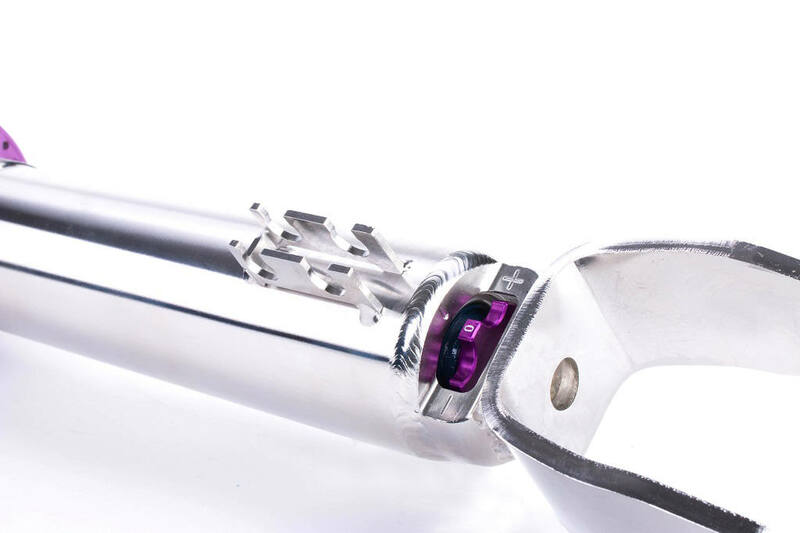 The KW bottom valve that is adjustable in twelve clicks in the low speed range of the compression damping, allows furthering increasing the performance of the AMG. 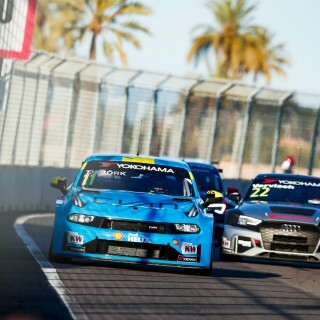 So a higher compression damping at the front axle enables a more direct steering and on the rear axle, higher compression damping forces act against oversteering. 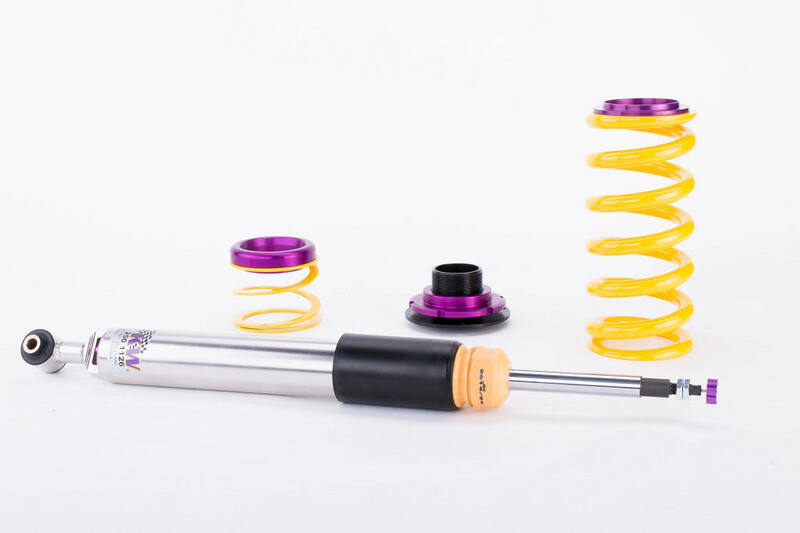 Due to the declining-balance valve assembly of the KW coilover suspension, the deflection behavior during sudden driving over bumps is not affected. 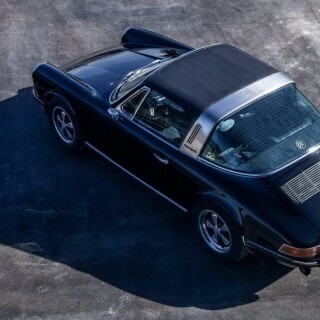 If the compression forces are decreased by using the integrated adjustment wheel at the lower piston end of the stainless steel housing on the rear axle, the rear will steer more. With the adjustable rebound damping, it can directly be taken influence on the handling characteristics and ride comfort of the new AMG sedan. The 16-step click adjustment for the rebound damping allows to increase or decrease the rebound damping forces. 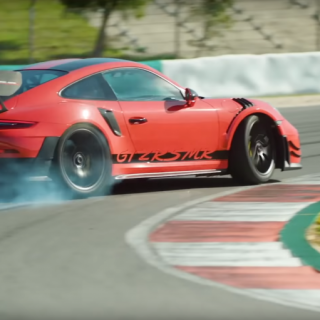 A higher rebound increases the handling and road holding; while the comfort when driving slowly is improved with a lowered rebound force. The continuous lowering can be adjusted via the dirt-resistant trapezoid thread directly on the stainless steel strut. 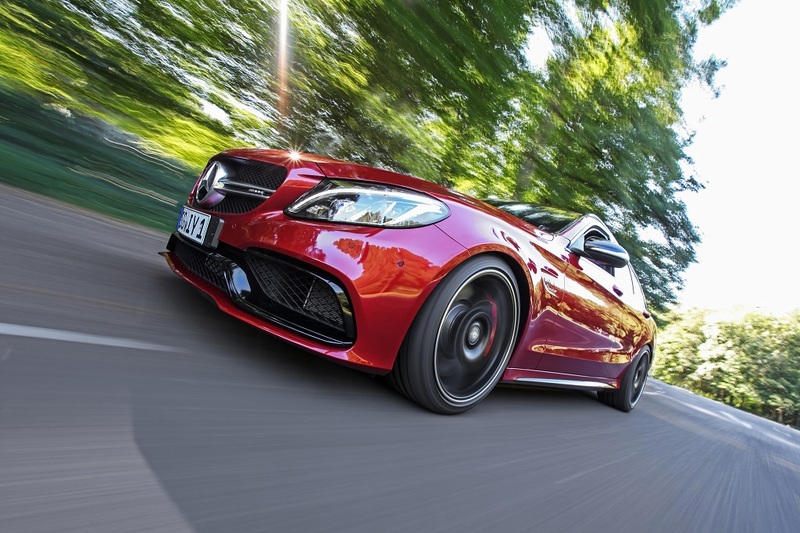 So the C63 AMG can be lowered within the tested adjustment range from 0 to 30 mm. On the drive axle, the adjustment of the vehicle height is made directly on the rear-axle height adjustment within the range of 5 to 35 mm. 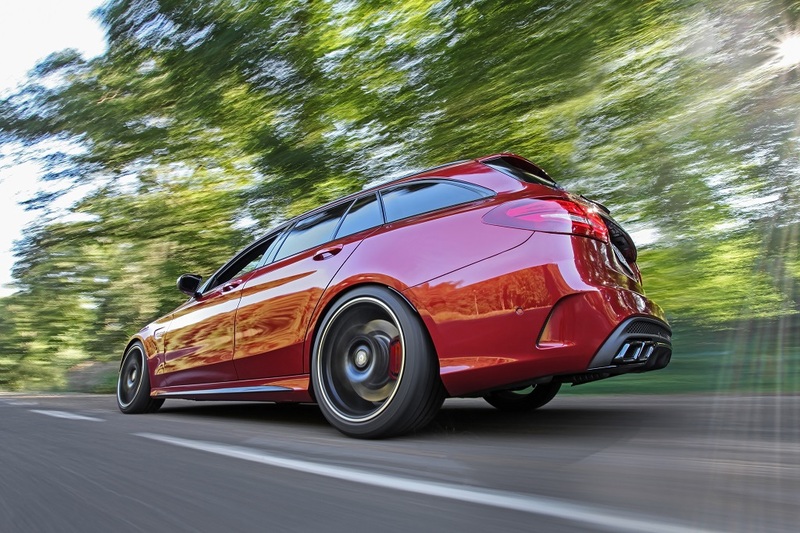 The C63 AMG station wagon have a lowering range of 10 – 40 mm at the rear axles. 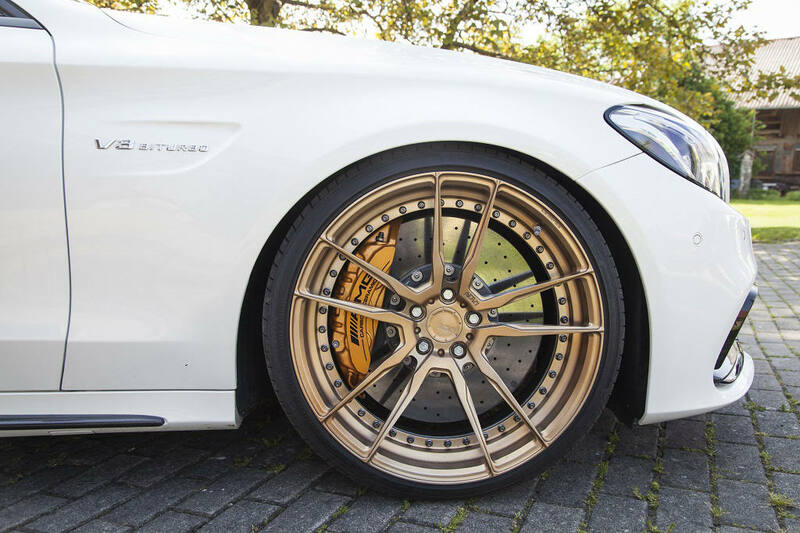 By the way, at our Mercedes-Benz C63 AMG sedan we fitted ADV5.2 M.V2 CS wheels in 20 x 8.5″ and 20 x 10″. 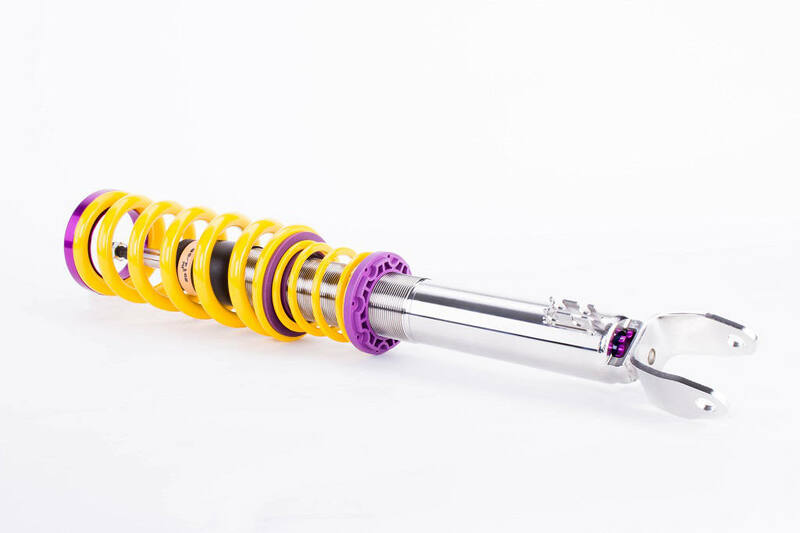 For further information about the KW Variant 3 coilover kit please visit our website www.kwsuspensions.com. 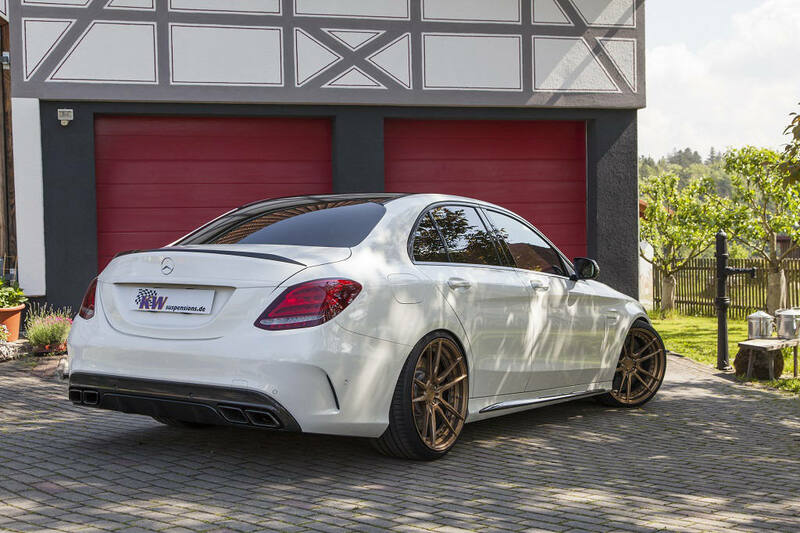 Our KW Performance Partner Wimmer RST (www.wimmer-rst.de) mounted a set of BBS CH wheels in 19 x 8.5″ and 19 x 9.5″.